GeekTonic: AppleTV Rumors – iTV and 720P? AppleTV Rumors – iTV and 720P? Engadget has a rumor post up today (I’ll consider it a rumor until official) about the much talked about new version of AppleTV expected this Fall. 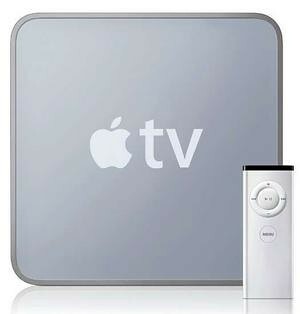 The new version of AppleTV seems to be more and more likely. Supposedly can only handle up to 720p video – not 1080i or 1080p video! I personally can’t believe they would do this but that’s what Engadget is saying.